After receiving overwhelming support from a shareholder vote last week, Ryanair has finalized an order for 100 Boeing 737 MAX 200s and has optioned 100 more. Boeing values Ryanair’s firm order for the Boeing 737 MAX 200 at $11 billion at current list prices. The 737 MAX 200 will be a version of the Boeing 737 MAX 8 which will seat up to 200 passengers. The order makes Ireland-headquartered Ryanair, which is Europe’s largest low-cost carrier, the launch customer for the newest member of the Boeing 737 MAX family. “Ryanair is proud and honored to become the lead operator of Boeing’s ‘gamechanger’ 737 MAX 200 aircraft, which will expand our fleet to approximately 520 aircraft by 2024 and create another 10,000 new jobs for pilots, cabin crew and engineers in Europe, while allowing us to grow traffic from 82 million passengers last year to over 150 million by 2024,” said Michael O’Leary, Ryanair’s CEO. 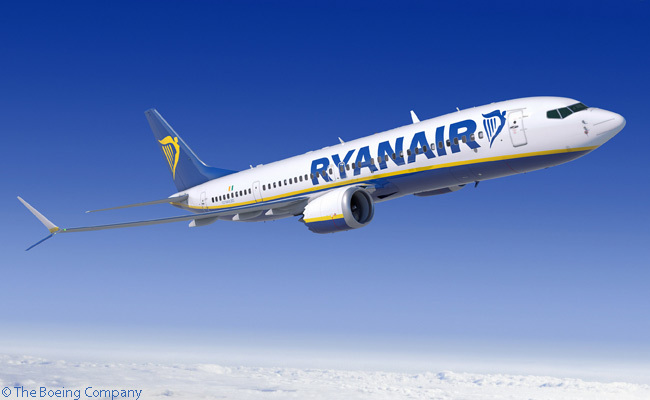 “These new ‘gamechanger’ aircraft will allow Ryanair to lower our costs and airfares, while improving our customer experience with more leg room and the Boeing Sky Interior, as we roll out new offers, particularly for our Business Plus and Family Extra customers,” O’Leary added. “As many of Europe’s flag carriers cut capacity on short-haul routes, Ryanair looks forward to using these new 737 MAX 200 aircraft to grow at many more of Europe’s primary airports,” O’Leary said. Boeing says it has developed the 737 MAX 200 in response to the needs of the fast-growing low-cost airline sector, which is forecasted to account for 35 per cent of single-aisle airline capacity by 2033. While the heart of the single-aisle market will remain at 160 seats, the 737 MAX 200 will provide carriers like Ryanair with up to 11 more seats of potential revenue and up to 5 per cent lower operating costs per seat than the 737 MAX 8, according to Boeing. With Ryanair’s firm order, more than 50 customers have placed firm orders for more than 2,550 737 MAXs. 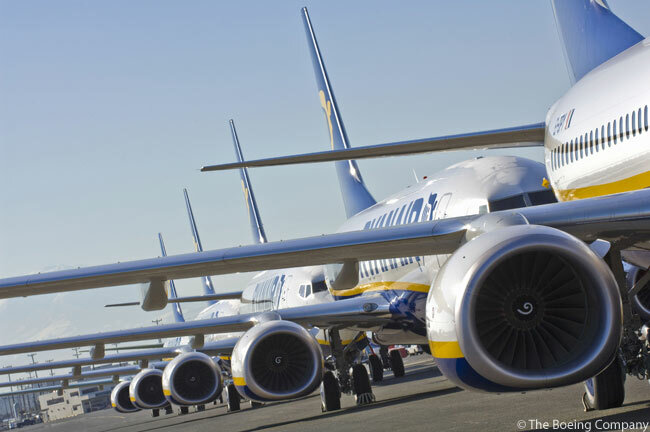 Headquartered in Ireland’s capital city, Dublin, Ryanair operates more than 1,600 flights daily from 71 bases, connecting 183 destinations in 30 countries. 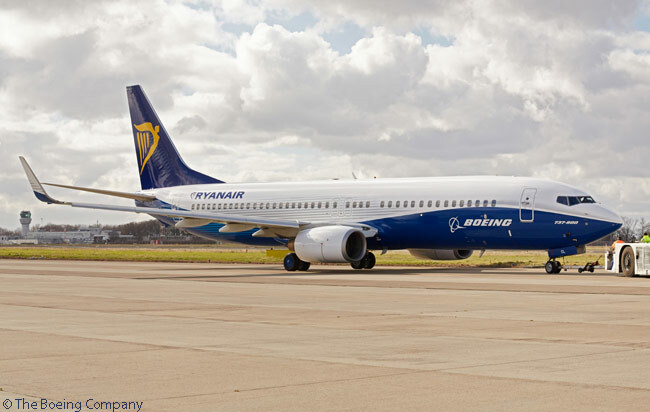 Currently operating 300 Boeing 737-800 jets, Ryanair took delivery of its first 737 in 1994 and now operates the largest fleet of Boeing jets in Europe. With a staff of more than 9,700 employees, the airline is expected to fly more than 89 million passengers this year.